Tata Motors is keen to show the toughness of the Hexa SUV. The flagship model of the home-grown brand has been seen performing stunts, but this time it did something unusual and unique. 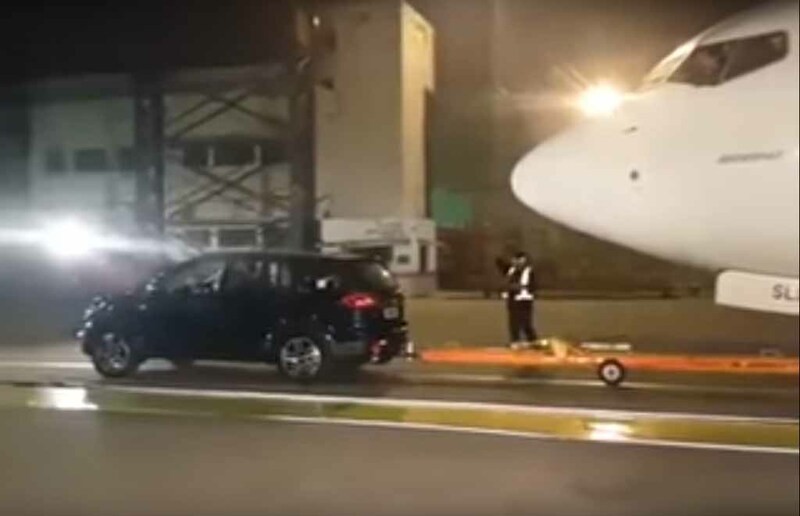 The muscular and tough looking SUV pulled a 33 ton weighing Boeing 737 airplane on a runway with its own livery on it. The Tata Hexa was first displayed at the 2015 Geneva Motor Show in its concept form and grabbed attention of the automobile world. Later at the 2016 New Delhi Auto Expo, it was showcased in production avatar. The Hexa is basically a redesigned version of the Tata Aria. 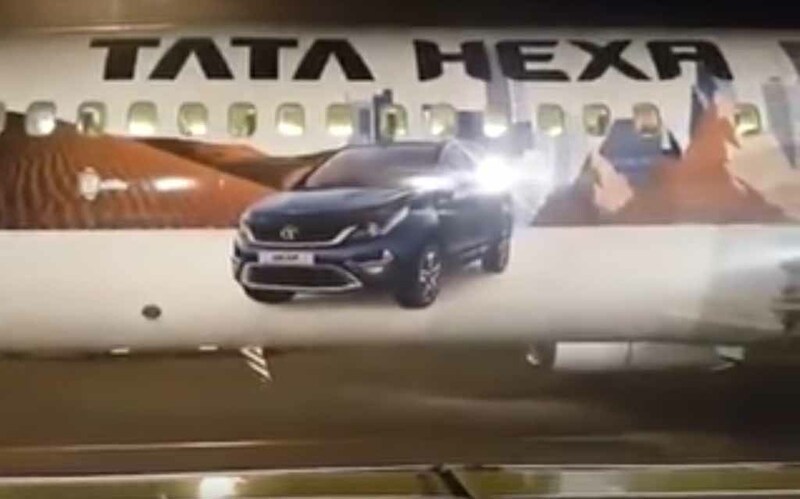 It appears with a premium aura and as Tata Motors claims, Hexa has been designed in association with the Jaguar Land Rover engineers. The Tata Hexa is based on the lightweight and rigid X2 platform, helping it to be capable of good handling. In terms of design and styling, the Hexa comes with several elements copied from the Land Rover vehicles. It gets large projector headlamps and bold looking front grille with V shaped chrome trim. The front bumper also looks muscular giving the Hexa a butch appearance. Inside the cabin too, Tata Hexa comes with impressive design. It gets captain seats Harman developed touchscreen infotainment system, 10-speaker JBL audio system, 2+2+2 seating configuration. The space and comfort on offer inside the cabin is very impressive, while the seat and upholstery materials are also quite premium. The Tata Hexa is powered by a 2.2-litre VARICOR 400 diesel engine mated to a 6-speed manual transmission and there is a 6-speed automatic gearbox on offer as well. The engine is capable of churning out 154 bhp of peak power and 400 Nm of peak torque. The Hexa is available in both 4×2 and 4×4 driving configurations. It is priced between Rs. 11.99 lakh and Rs. 17.49 lakh (ex-showroom, New Delhi).